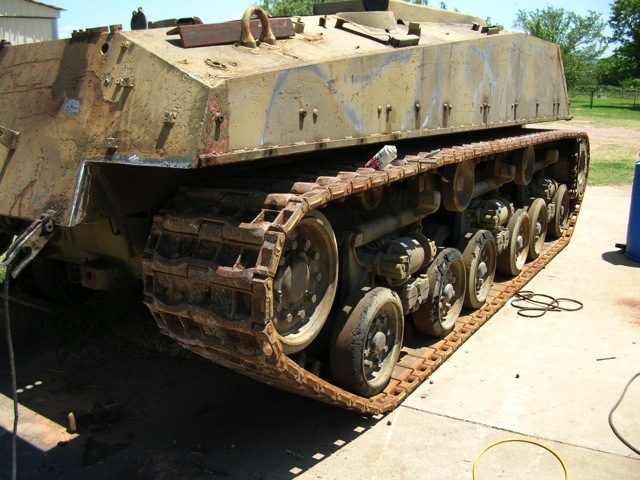 E11 This steel track is in excellent condition. But my dilemma is how do I get it off the tank without cutting it with a torch. The pins on this track do not come out easily after 65 years.